Diabetes is on the rise in the United States. Each year, 1.5 million Americans are diagnosed with diabetes, adding to the 9.4 percent of the population who already live with the condition. Experts recommend that the millions of people living with diabetes regularly monitor their nutrition and engage in healthy behaviors like physical activity in order to keep their condition stable and improve their overall quality of life. Unbeknownst to many, high-intensity exercise is the perfect healthy habit for diabetics. How Does High-Intensity Training Help With Diabetes? To understand why high-intensity exercise can be so beneficial, let’s break down what happens in the body of someone who has diabetes. Insulin is a hormone produced in the pancreas that regulates the amount of glucose (sugar) in the blood. In the body of a healthy person, insulin helps guide glucose into the cells where it is used for energy. However, for those with diabetes, this process does not work as it should. In people with both prediabetes and type 2 diabetes, the cells have become resistant to insulin, and the pancreas cannot produce a large enough amount of insulin to get the cells to respond and absorb blood glucose. This means that the glucose that should be entering cells remains in the bloodstream, leading to high blood sugar. It also means that the cells are starved of glucose, their primary energy source, which is why extreme hunger, fatigue, and irritability are common among people with diabetes. To solve this problem, people with diabetes must give themselves insulin injections. This way, there is so much insulin in the blood that the cells respond and absorb some glucose for energy, also lowering blood sugar. But, there’s another way to get the cells to absorb glucose, that does not involve pumping the body with extra insulin. High-intensity training can also increase the levels of glucose that reaches the cells, providing cells with the energy they need while also reducing blood sugar levels. This is thanks to a process known as glycogenolysis. During a high-intensity workout, like the workouts at QuickHIT Fitness Labs, your muscles are worked to the point of failure, which is perceived by the body as an “emergency.” During a QuickHIT Fitness Labs workout, your muscles are working so hard that they use these emergency glycogen stores to power the workout. This empties the cells so that they are able to respond to insulin. This is known as increasing your insulin sensitivity and makes your cells more capable of receiving glucose. Super slow, high-intensity workouts also active hormone-sensitive lipase. Hormone-sensitive lipase helps the cells absorb fatty acids, similar to the role insulin plays for glucose. This double-dose of cellular benefits from high-intensity workouts makes it a great choice for people with prediabetes and type 2 diabetes, and can be a major factor in managing the condition. It is important to note that not all types of exercise are created equal when it comes to lowering blood glucose and fatty acids. The muscles must be worked to failure, as they are during slow, high-intensity workouts, in order for the glycogenolysis process to be activated. While all types of exercise can be helpful for those with diabetes, high-intensity workouts clearly provide the most benefit. 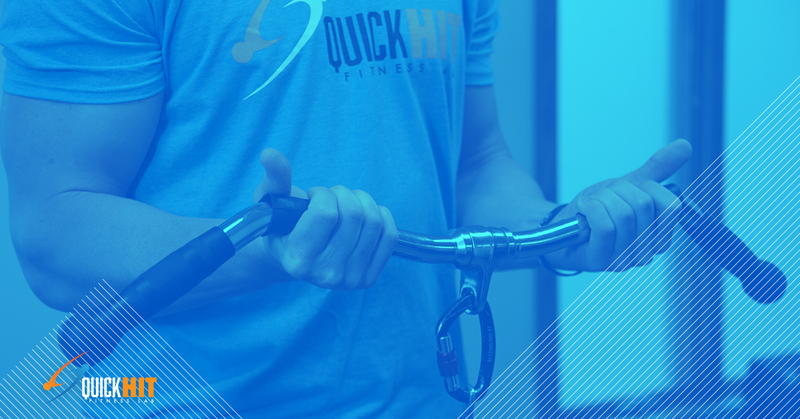 At QuickHIT Fitness Labs, we always safely work your muscles to failure with our super slow method, top-of-the-line equipment, and personal attention from trainers to guide your workout. This means that each time you exercise with us, you are activating the glycogenolysis process and helping your cells get the glucose they need to thrive. If you or a loved one are living with prediabetes or type 2 diabetes, schedule a workout with QuickHIT Fitness Labs and see how high-intensity exercise can help you manage your diabetes. Disclaimer: These statements have not been evaluated by the Food and Drug Administration. This product is not intended to diagnose, treat, cure or prevent any disease. The benefits listed on this web site are based on independent studies which reference years of research into strength training studies.